In this article we will see how to install a fresh instance of 5.5 vCenter. Then proceeding further we will be upgrading this vCenter to 5.5 U3b and then to 6.0. This 5.5 installation is a simple install, where all the vCenter components like Single Sign On, Web Client, Inventory Service and vCenter Server reside on the same machine. Make sure the hardware and software requirements for vCenter are met. This can be found in this link here. The next thing you need to question is what type of database are we using. If it is an embedded SQL express, then it comes pre-packaged with the vCenter ISO and there is no need to worry about the compatibility. If you are using an external SQL then you need to check if the SQL version you are using is compatible with the vCenter version being deployed. You can use VMware Interoperability Matrix to check the compatibility of database. Next, the Windows machine being used for vCenter deployment should be added to a domain, and the Forward and Reverse Lookup Zone must be configured for this machine. 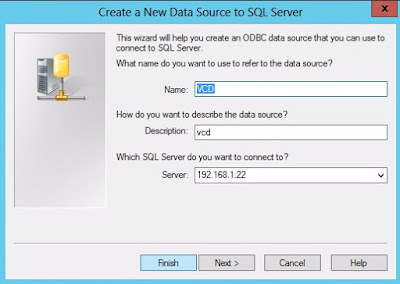 Login to SQL management studio, right click Database and select New Database. Login to the Windows machine being prepared for vCenter Installation. Click Start > Run, and type ODBC. 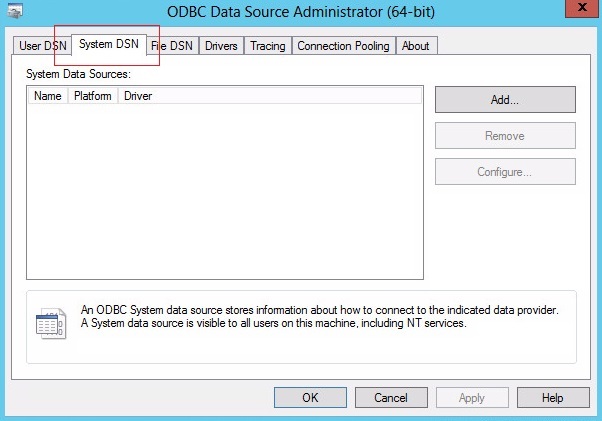 Open the 64 bit ODBC. Click System DSN. Click Add and select a SQL native client version and click Finish. 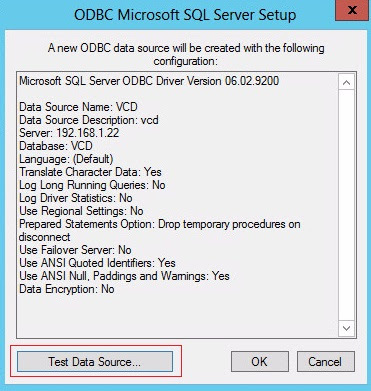 Now we will have to enter the ODBC configuration details. The Name for the DSN can be any user defined name, if required you can enter a Description. Here you will have to provide an authentication mode for the database. As in the first step I am using the sa account as the DB user, I will provide the sa authentication for my vCenter database. The user that you are going to use to setup your ODBC connection must have sysadmin rights on your database end, else the installation of vCenter will fail at the ODBC wizard page. 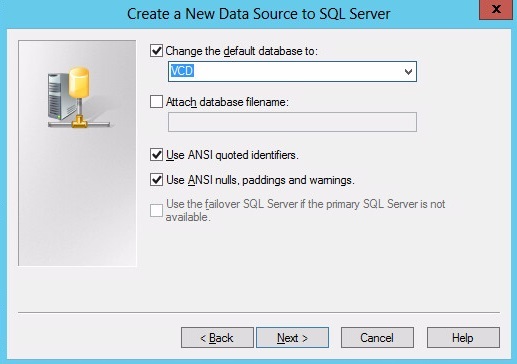 In the Next page you will have to check the "Change the default database to" option and from the drop-down select the database that you created earlier. Keep the other options to default and proceed Next. In the next option, change the language if needed, otherwise keep all the options to default and proceed to Finish. Once finished, you can review your settings and then click Test Connection. This should result in Test completed Successfully message. Do not proceed further if the test fails. This takes care of setting up to connectivity of vCenter to database part. Download the required version of vCenter 5.5 from the VMware download portal and mount this ISO on to this windows machine. Since this is a simple install (All vCenter components residing on the same machine), the installation order is Single Sign On > Web Client > Inventory Service > vCenter Server. The first component as discussed would be to install the Single Sign On. On the ISO that is mounted, under custom install, select Single Sign On. You can also proceed with the Simple Install option, which will automate the installation of all the components and prompt you when each component is being installed. Click Next and accept the End User License Agreement. Click Next and it will check if the machine has met the pre-requisites. Like joining a domain, and having a resolvable DNS entry. Once the pre-requisites are met, click Next. Here it will ask you for the SSO deployment type. If this is a first instance of Single Sign On that is being deployed and if it is being deployed for a single vCenter, then select Standalone Single Sign On. Click Next and it will ask you to create a new password for the SSO administrator user. Provide this credentials and document this, as this will be required for future management. Click Next, and it will ask for a site name. This site name can be anything, however, this has to be documented, because during link mode setup of the vCenter it will ask for this site name. Click Next and you will come across the port used for SSO service. This port has to be open on the machine and firewall in order for SSO to work. Click Next and then you will be asked for a directory where you want to install the Single Sign On component. Select a directory, or leave it for default values. Click Next, review the configuration and proceed to Install the SSO component. The next component would be install vSphere Web Client which would be a web interface to manage your vCenter environment. From the same ISO, if the installtion mode is Simple Install, then you will be automatically prompted at this point. If it is custom, then select Web Client and click install. Select a directory where you want to install the Web Client. Now, the default https port for web client is 9443. If you want to provide a custom port, then change the https port value, however, record this port number as it is necessary to access the web client. If you do not want to change the port number now, and would like to do so in the future, then you will have to follow this article. 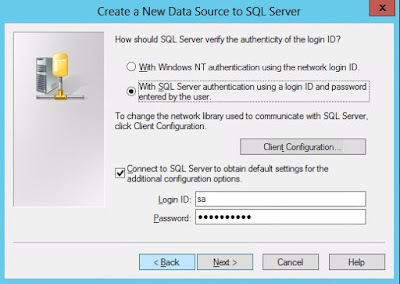 Provide the SSO password that was created during the Single Sign On setup. The web client needs certificates for authentication as well. VMware installs default certificates for Web Client. If needed, you can replace them later either with CA Signed Certificates or from a third party CA authority. 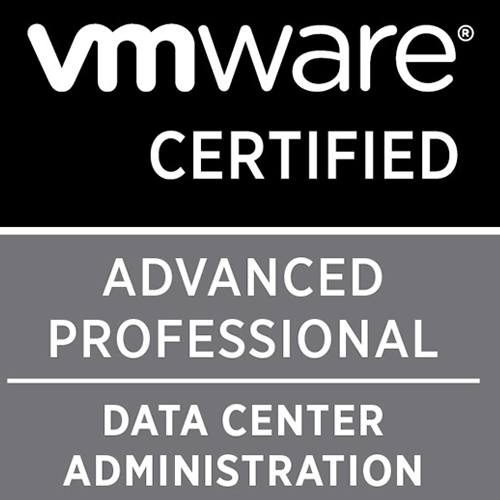 Wild card certificates are not supported in VMware. Finish the installation of the Web Client component. Inventory Service stores vCenter Server application and inventory data, which lets you search and access inventory objects across linked vCenter Server instances. If your search is not working in vCenter, then there is probably some issue with Inventory Service database. Enter the vCenter's FQDN for which this Inventory Service needs to be registered. Review the ports being used for this service. Again, if being changed, then you will have to make a note of the custom port numbers. Select an Inventory size, this depends upon your environment size. Choose accordingly. You can change your JVM size after installation as well, again, if required! Click Next. 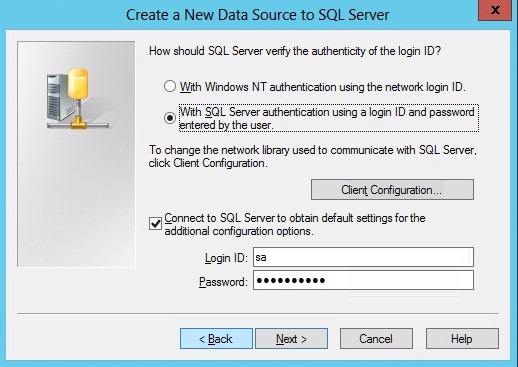 Provide the SSO credentials for authentication and begin the installation. This would be the last core component to be installed for a VMware vCenter environment setup. Accept the EULA and proceed Next. You can enter a license key during the installation or you can enter the license key once the vCenter is setup. 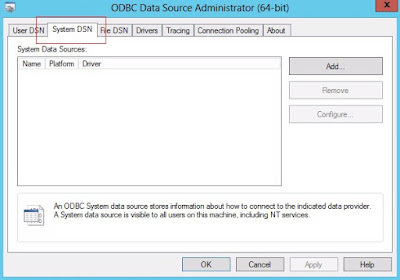 Since we are using an external SQL database, we will choose the second option " Use an existing supported database " and then from the drop-down select the DSN name that was created under 64 Bit ODBC. If you do not see your DSN listed under drop-down, then enter it manually proceed Next. If you are using an express SQL, then you will not follow the initial steps in this article for creating a vCenter database. 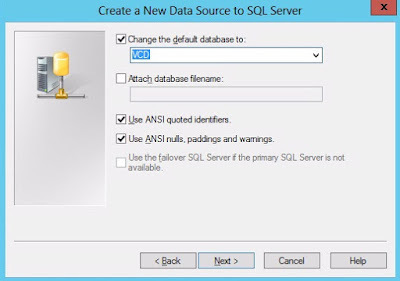 You will check this first option which will proceed with installation of SQL express and creating a database, all by itself. In the next page enter the information for VMware vCenter Server service. This can be a local authentication or a domain authentication. If your SQL service is domain then it's best to have a domain authentication for vCenter Server service as well. If this is a fresh deployment of a vCenter then select " Standalone instance " If you are setting up another vCenter and want to join these two vCenters in linked mode, then the second option has to be chosen. You can also join two vCenters in linked mode even after two standalone instances are deployed. Again, select the inventory JVM size for vCenter server component. Provide the SSO credentials for authentication. Now, you will get an option to choose the SSO user name. You can give administrator@vsphere.local or any other name. Please make sure that you do not give your existing domain name as your SSO username, as this will cause issues during adding users to vCenter. Since vCenter is dependent on Inventory Service, the IS was installed first and the URL for IS was created and auto-populated in the next step. In the final step, provide a directory to install vCenter component and begin the installation. Once the installation completes, the vCenter deployment is complete. From the same ISO install vSphere Client. After installtion, open the vSphere Client and enter the IP address of the vCenter, SSO username/password and login to verify the setup is working good. Open a browser and navigate to Web Client URL, https://<vcenter_IP>:9443 to verify Web Client is functioning good!